Chuck Davies joins me to talk about the future of safety in motorsport, head and neck restraints, helmets, harnesses, and racing and track day events. We touch on the effect Dale Earnhardt’s crash had on the sport, as well as SFI, Snell and FIA standards. Chuck is the CEO of Simpson Performance Products, a company that is synonymous with safety in motorsport. 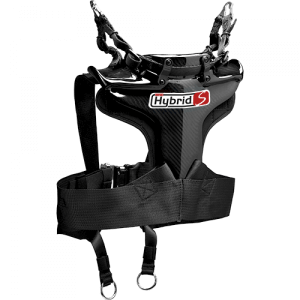 Their Hybrid S is the only head and neck restraint device that is certified effective for use with 3-point seatbelts. I’m not hearing any mention of OEM air bag systems, and how to make those work with the other restraints. I use my car for HPDE and I want to retain the factory systems. My students often ride in the passenger seat, and they do not have a head and neck restraint. I’d like to add harnesses to my factory Recaro seats, which are designed for shoulder harnesses, and still have the factory retrains in place.